For people with limited storage and memory on their smartphones, apps can be a difficult thing to navigate. Many most popular apps in the U.S. — of theFacebook, YouTube, Snapchat — are large downloads and extremely demanding to run. A phone that has 16GB of storage and 1GB or 2GB of RAM will quickly run out of space for new apps (or photos, music etc.) and running those heavy apps will often result in crashes, overheating, and slowdowns. What’s more, those kinds of apps eat a ton of data, which is not ideal if you’re on a budget, or use your phone as your primary access point to the internet (as is the case for 20 per cent of Americans, according to this Pew report). Thankfully, there is an alternative. The majority of the most-used apps on the market offer “lite” versions that reduce the drain on your phone and monthly data allotment. If a lite variant isn’t available, platforms often have Progressive Web Apps (PWAs) which provide basic functionality through a mobile browser. PWAs don’t require a download and are much less processing-intensive. Often, companies cover their bases by making their web app into a lite app, offering identical service on both. We’ve rounded up a comprehensive list of the best lite apps and PWAs available for major apps on the market today. Maps Go is the light version of Google’s navigation app. 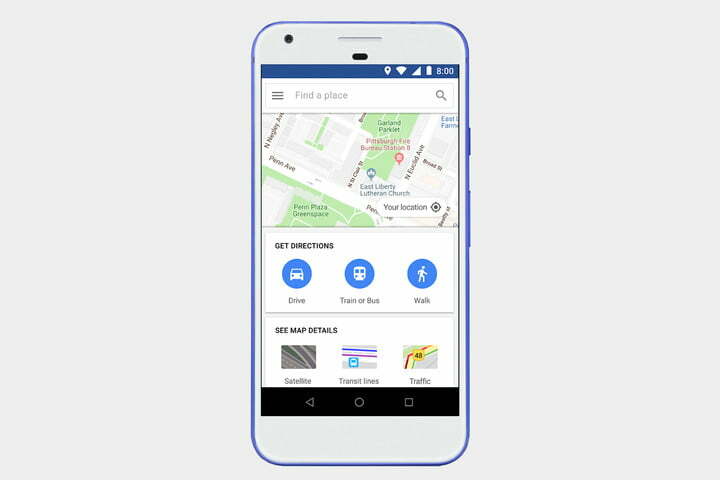 Google Maps is the go-to app for navigating across a variety of travel methods, from walking to driving to using public transit, so using a lightweight version can make a big impact on performance and data usage. Unfortunately, this app is only available for Android users, but it is possible to reach a PWA version on iOS through following the link below in the Chrome browser. Facebook is the largest social media platform for mobile users in the U.S. It’s also a hefty and demanding app that requests a lot of data permissions from users (for example, device location) — so it makes sense to get rid of it in favour of a lightweight version. 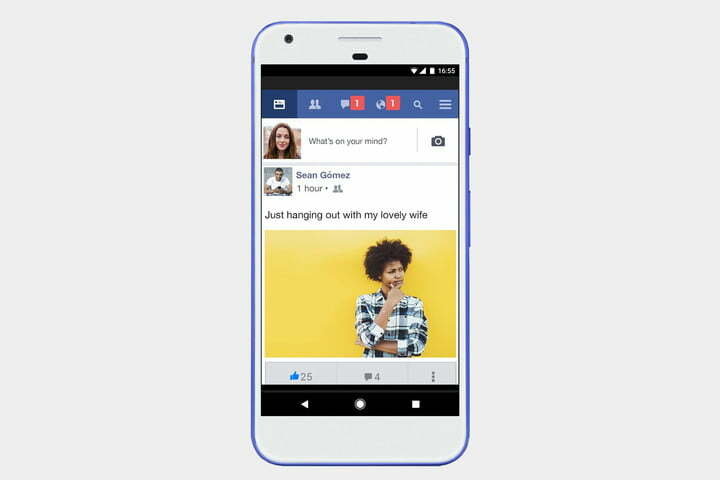 There’s Facebook Lite for Android, but when it comes to iOS, the app is still in testing. For now, those with iPhone devices can just visit the mobile version of the website in their browser of choice. 15MB lite version of its approximately 100MB primary Android app. It’s possible to enrol in that beta, but unfortunately, the test is limited at the moment when it comes to regions and compatible devices. Also, reviews so far note that many key features like offline playback are missing, leaving much to be desired. Android users who really want in and are willing to take a risk could try downloading an unofficial (and thus potentially unstable) copy of the app. 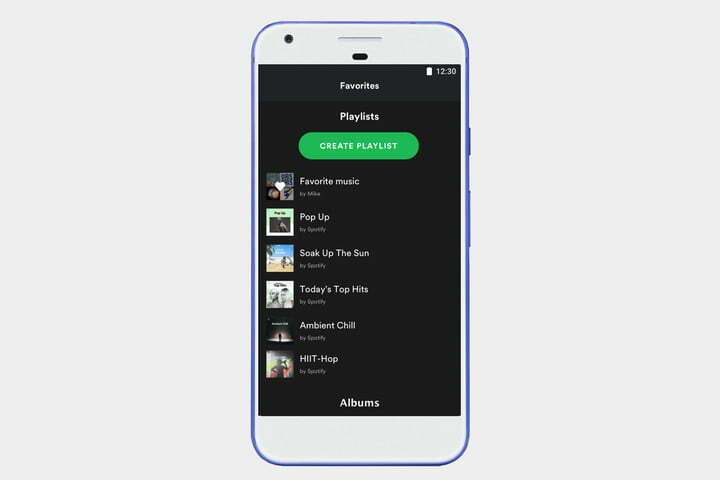 Below is a link to the official beta Spotify Lite app. As for people on iOS, there is no lite app or PWA available at the moment. 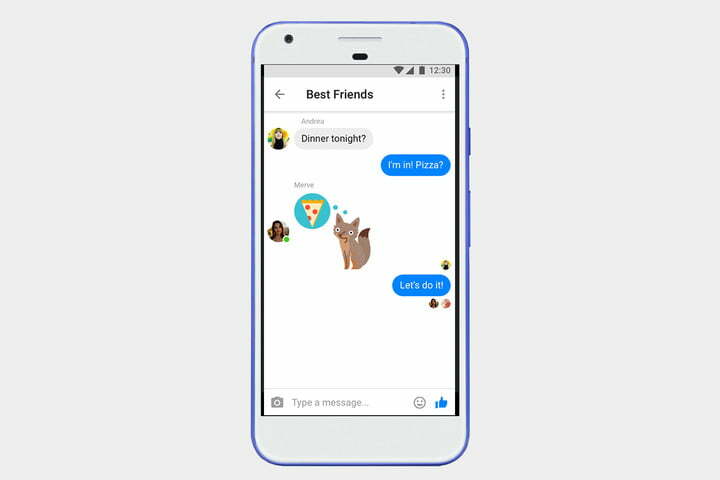 Facebook’s chat tool, Messenger, is massive in its own right with more than 1.3 billion monthly active users. Facebook Messenger Lite strips down the messaging app to the bare essentials, bringing the app size down to 5MB. However, following a common theme, it’s only available for Android. The good news is the lightweight app is in testing. The bad news is, that’s only outside of the U.S. for now. Plus, there doesn’t seem to be a PWA option yet. Looks like those using iPhones will just have to wait a bit longer. YouTube Go, the miniature version of Google’s massive social video platform, launched in 2016 and is available in more than 130 countries, though not in any Western markets. 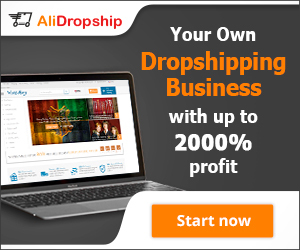 The simplified platform offers minimal but effective features. 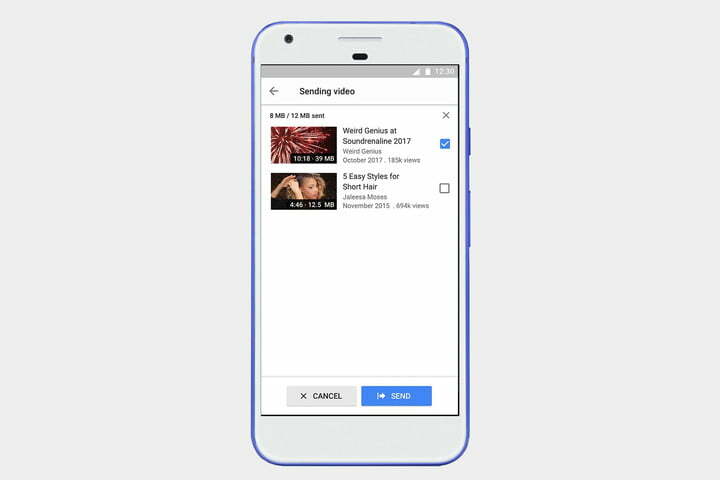 When selecting a video, YouTube Go asks if you would like to download a low-quality version instead, allowing for a bit more control over data usage. Plus, you can send videos to your friends via Bluetooth. If you’re in one of the markets where it does exist and you own an Android phone, you can grab it below. Otherwise, you’re out of luck for now. 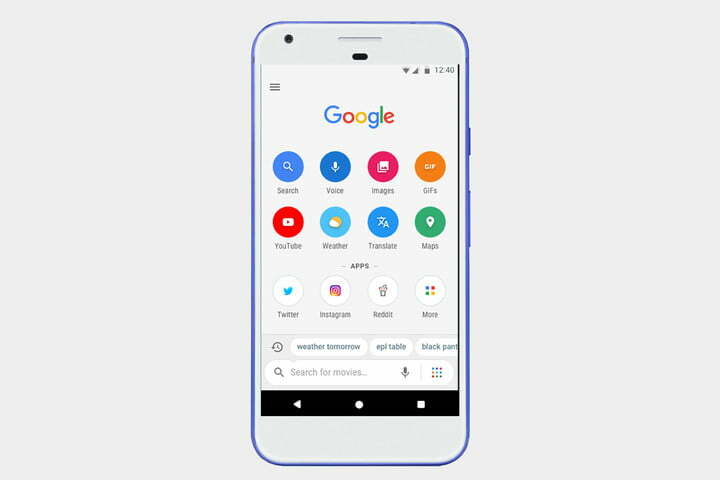 Google Go is a lighter and faster version of the Chrome browser that promises data savings of up to 40 percent. Weighing in at only 5MB, it also barely takes up any space on your device. For now, this handy tool is only available in emerging markets for Android users — primarily countries in Asia and Africa. Those who are looking for an alternative available in the U.S., have to look no further than the next entry in the list. Can’t get your hands on Google Go? 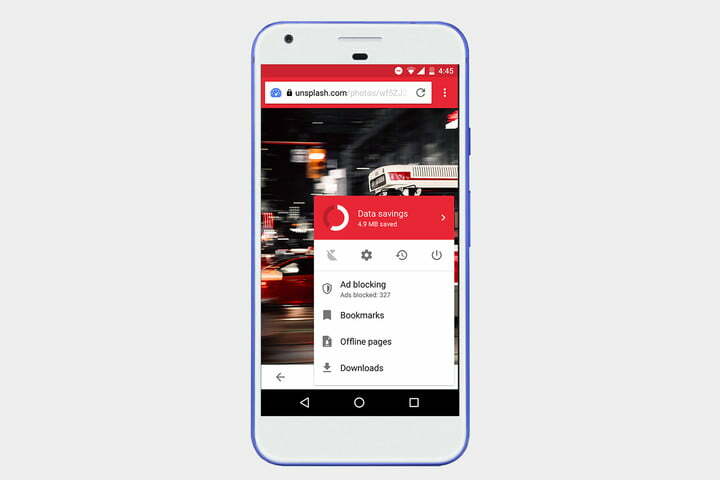 Try the Opera browser’s lite offshoot, Opera Mini. This lightweight browser’s main focus is conserving data for the budget-conscious, plus it offers a built-in ad blocker. Other features include a download button for videos — not YouTube videos, unfortunately, but a variety of others — and data tracking in the settings menu. 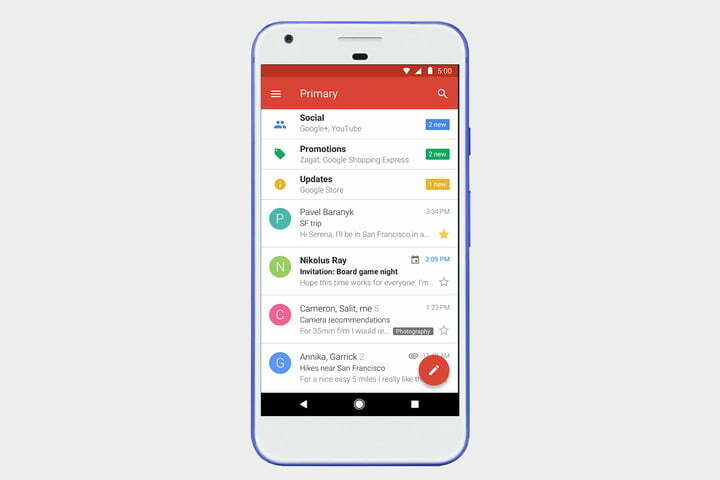 Gmail Go launched in February 2018 in emerging markets including India and Indonesia. It takes up only 25MB of storage space, much less than the standard Gmail’s app 47MB. As for features, it offers most of the standard capabilities you’d expect from Gmail, including multiple account support, attachments, and push notifications, while reducing mobile data use. While it syncs fewer days of emails, and things like scrolling are a little choppier in Gmail Go than the full version, it’s a worthwhile trade-off for many users. It’s only available on Android for now. 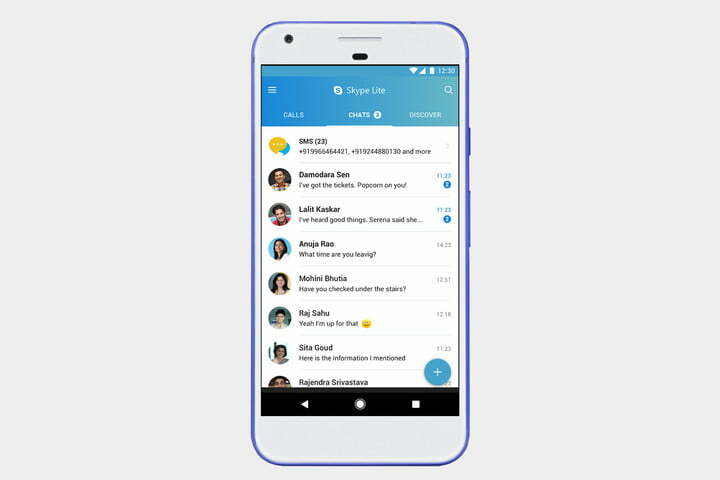 Microsoft built the minimal Skype Lite platform specifically for the Indian market, but it’s available in North America as well. The unreleased (read: potentially unstable) Android app offers all the essential Skype features — you can message, make audio and video calls, and use it as a VOIP service. Plus, Skype Lite offers an additional intelligent text filter to help reduce SMS clutter, and a data saver mode for making calls over a cellular network. 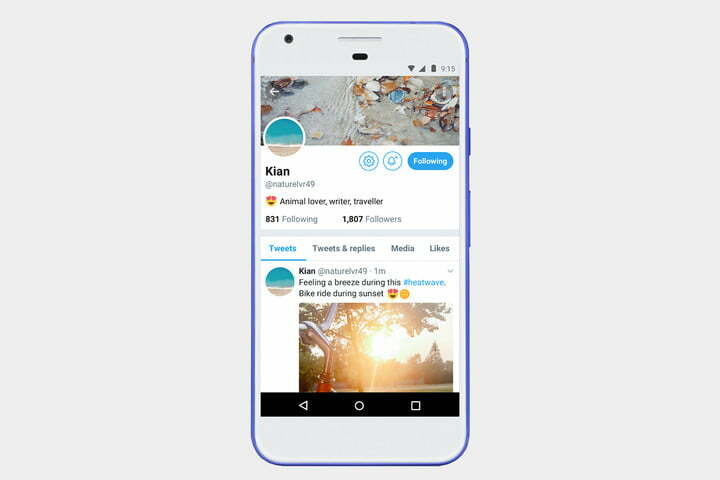 You might end up using Skype Lite without recognizing it — the PWA is Twitter’s standard mobile web platform, available at mobile.twitter.com. You can also access it by downloading the Twitter Lite app on Android in over 45 markets with heavy mobile usage (including Ghana, Turkey, Ukraine and many more). The app is designed to load quickly on 2G and 3G networks, offers a data saver mode to download only images and videos you want to see, and only takes up 3MB of space. 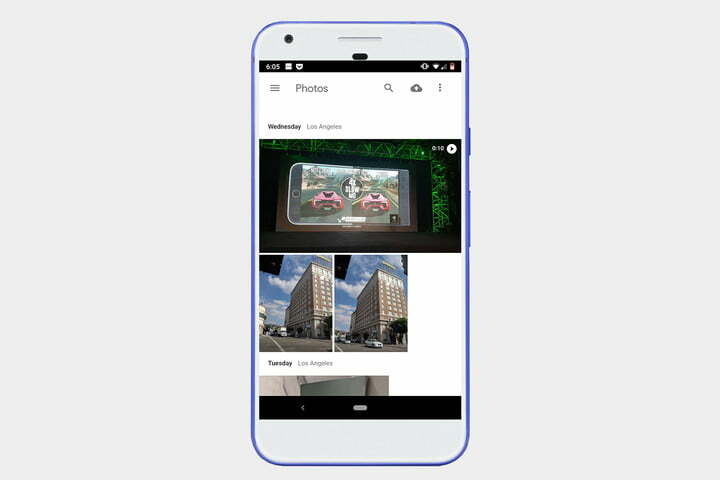 Google updated its Photos site in June 2018 to operate as a web app, allowing both Android and iOS users to use a quick-loading version of the service simply by heading to photos.google.com. 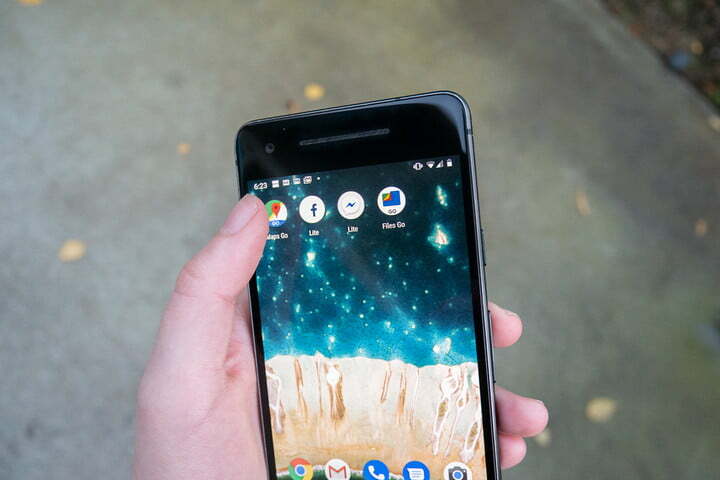 What’s more, you can add it your home screen on Android by travelling to the app in Chrome, going to the top right menu button and tapping on “Add to Home screen.” The PWA doesn’t have push notifications yet, but you can upload photos, view shared photos, create albums, and do most things you would in the full app. 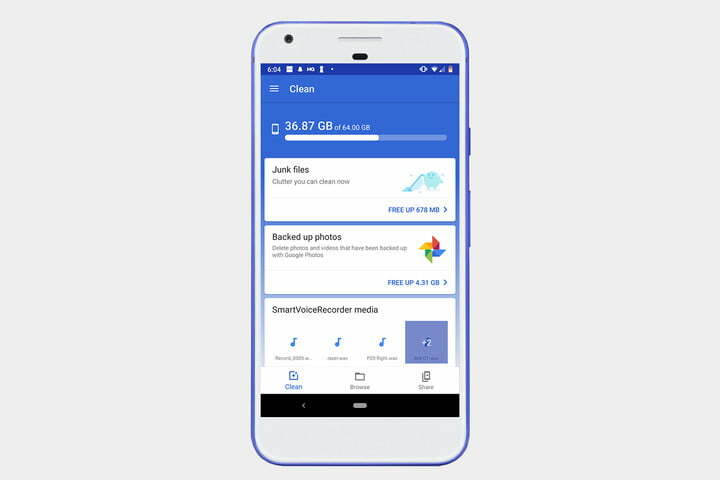 Files Go is a storage manager from Google, and it’s particularly useful for those with minimal smartphone storage. It provides recommendations for files to erase, makes it easy to delete collections of data in a single tap, and provides other tools for managing and viewing storage space. It also offers offline file sharing via Bluetooth that’s similar to Apple’s AirDrop functionality. It’s available globally on Android.